Simply, subtly designed to keep you comfortable, dry and focused on the match, men’s Umbro League Football Socks are manufactured with mesh articulated vents at the ankles to keep feet dry and cool, allowing warm air and sweat to escape away from your skin. These Umbro League Football Socks have light cushioning at the ‘Y’ stitch heels and the flat seamed toe boxes for padded protection, but without unnecessary bulk between you and your boots. 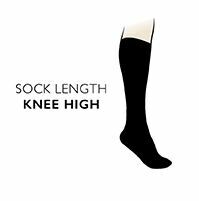 The nylon and elastane composition makes your soccer socks durable and able to retain their fit and shape all season long.